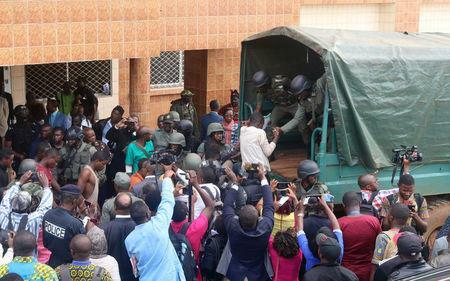 The armed men had seized the kids on Monday in Bamenda - a green city nestled in the hills of western Cameroon and hub of the country's troubled English-speaking region. "It was around 3 a.m. in the morning. We were still sleeping, then we heard people shouting, some other people, some men, came and broke our door. They told us: 'come out'. They were all dressed in black," a 13-year-old boy told Reuters TV, recounting his ordeal. He declined to be identified. "When they set us free, they said we should tell the other schools that they should stop, so no one goes to school," he said. The secessionists have imposed curfews and closed schools as part of their protest against Biya's French-speaking government and its perceived marginalization of the English-speaking minority. The government has denied discriminating against them. "I am really, really worried," a mother of one of the children said, before packing her boy's things into a car. "I know his education is not guaranteed because of the security (situation) ... because I am not sure for his safety." Cameroon's linguistic divide is a legacy of World War One, after which the former German colony in central Africa was carved up between allies France and Britain.